We view our Corporate Social Responsibility policy with great pride and pay close attention to the company's effects on environmental and social wellbeing. We strive to provide an excellent working environment for our employees and frequently partake in charity events to support the local community. For more details on the charity work we partake in, including photographs, testimonials and videos, please view our Facebook page. Derian House help children and young people, whose lives are too short, to make happy memories in an environment of fun, respect and above all, high quality care. They provide respite and end-of-life care to more than 300 children and young people across the North West, 24 hours a day, seven days a week. The Children’s Adventure Farm Trust is based at Booth Bank Farm, a 17th Century farmhouse set in the heart of the Cheshire countryside. They provide a variety of programmes for terminally ill, disabled and disadvantaged children from all over the North West. The needs of the children visiting The Adventure Farm range from complex and severe physical and learning disabilities, sensory impairments and terminal illnesses through to children who act as Carers for a family member, those dealing with bereavement and children who have been victims of abuse. Bury Grammar School has a long history of academic excellence, dating back to 1570. BGS is a leading school in the North West where pupils consistently reach outstanding academic standards, achieving exceptional examination results at GCSE and A Level, and gaining places on courses at top-performing universities. 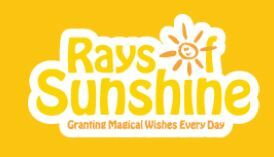 Rays of Sunshine Children’s Charity was formed in 2003 to brighten the lives of children who are living with serious or life-limiting illnesses, between the ages of 3-18, across the United Kingdom. Cash for Kids is Bauer Radio’s network of local charities, which operate across 22 areas around the UK. Our mission is to respond to the needs of children in our communities, and we aspire to enable all children to live life to the full and achieve their individual potential. Red Sea Pedestrians trustees like to choose a charity who they know will be close to everybody’s heart and whose need for support is great. Whether it will be raising funds to purchase a much needed special Neo Natal Ambulance or an incentive to extend an already offered service, or funds just to make sure that they can continue to operate. They believe in creating a partnership with our chosen charity which by working together in a collaborative way, increases the awareness as well as funds raised. Their trustees like to meet with the charity and discuss the many options of how we can offer that helping hand. The Jewish Theatre Company are a Manchester based amateur dramatic society serving and entertaining the local community, whilst raising funds for charity. Their membership consists of children starting from as young as 10yrs to adults of all ages. CYFOR are proud to be sponsoring the 2018 Ladies British Enduro Champion Rosie Rowett. Visit http://www.rosierowett-racing.co.uk/ for more information on Rosie’s 2019 competition schedule. CYFOR are proud to sponsor Paul Bolton, who has long been a stalwart of British Enduro and is a definite role model for any aspiring young talent. Although a self-funded privateer, his initiative has helped take him around the world. Focusing his racing efforts on the World Enduro Super Series, he ended the 2018 campaign a remarkable 6th outright, whilst also becoming one of the primary faces on Red Bull TV. Click here for more information on Paul.